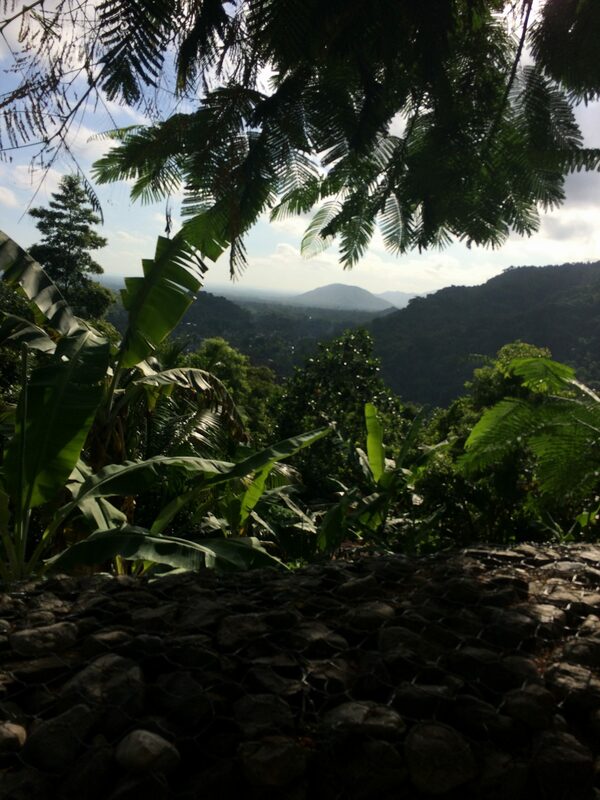 The Music Guerrilla is very excited to partner with BLUME Haiti, (Building Leaders Using Music Education) in support of music programs in Haiti! BLUME is a terrific organization that has been doing amazing things in Haiti for quite some time. Much of the information provided for the following schools was in large part from BLUME’s website! A Program of a different sort . . . The NIYO Cultural Center. The Zazibona Music Foundation begin in 2015 in Choma, Zambia by friends Shambwe Maxwell Kabai and Jacob Likando before moving to Lusaka. It is a registered as an official non-profit as required by Zambian Law and currently relies on the kindness of church & public spaces for teaching areas. It’s curriculum includes music composition, instrumental instruction (of all kinds! ), voice training, conducting, music theory, music history and culture, and music production. The ABRSM (Associated Board of the Royal Schools of Music) curriculum guides it’s efforts both in terms of teaching and assessment. 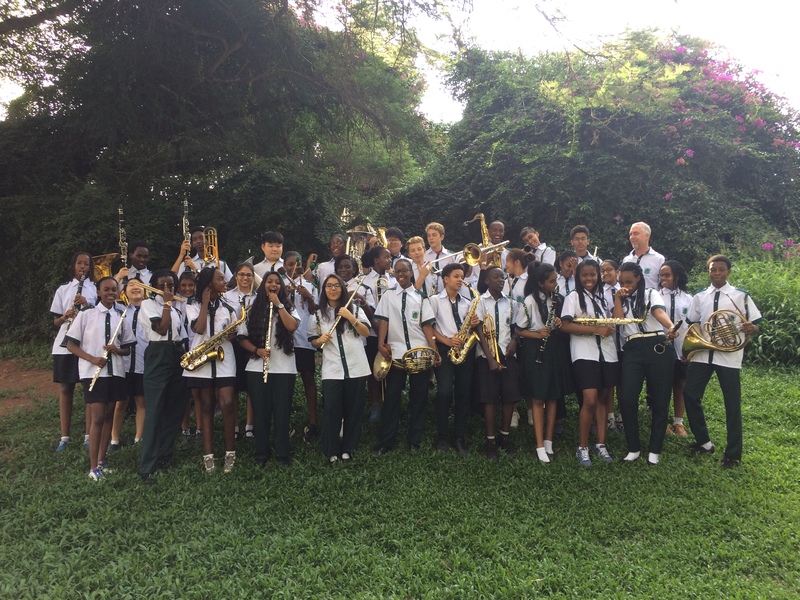 While The Foundation’s student musicians are composed of many ages, ages 7-18 are a main focus with special emphasis on the less-privileged – a much needed focus, yet needing assistance itself. In Partnership with BLUMEhaiti.org . . .
1 – Increasing the number of high-level artists throughout the North of Haiti by identifying and assisting potentially talented children and adolescents. 2 – Initiating artistic training for about 100 young people per year within the various disciplines offered. 3 – Building a facility and accompanying curriculum that aspires to international standards. 4 – Providing a summer camp designed to promote and improve the quality of training programs offered in various related schools throughout the country. The Cemuchca Music Institute, founded in 2007, has a reputation as high among the three largest schools of music worthy of that name in Haiti. The music school has about 300 students of which 200 are active. 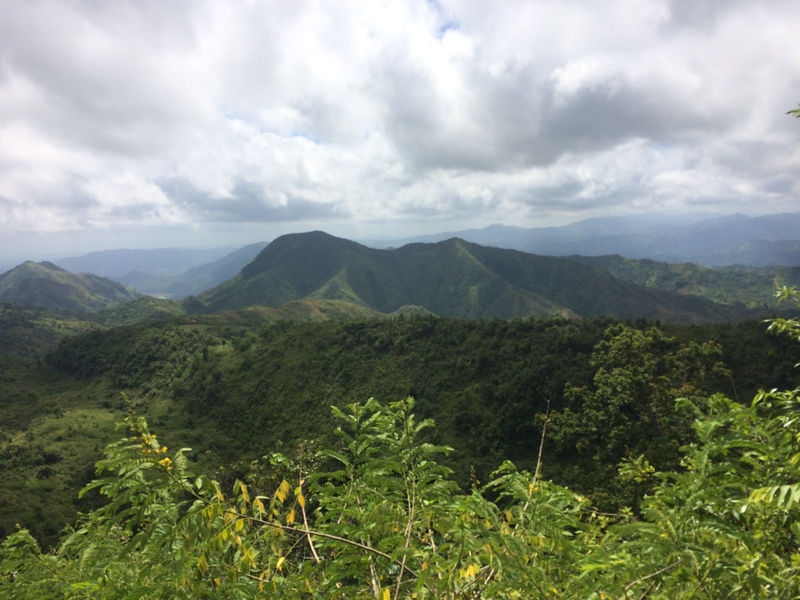 In addition, CEMUCHCA supports very active annexes in Limbe, Milot, and Port-au-Prince, with more planned in St. Louis du Nord and on the island of La Gonnave. Teaching strings has been very productive in large part due to highly dynamic teachers and, above all, due to the large number of students who choose this option, which include violin, viola, cello and bass. The band program is growing and in need of teachers to guide young people who have chosen wind instruments such as trumpet, French horn, trombone, saxophone etc… There are also a significant number of students in piano, which consists mainly of young beginners. There are three core music theory tracks: one for children aged between 5 and 12 years, a second for youth 13 to 19 and a third for adults. In the first track, children learn basic music theory, singing and recorder (mandatory. In the second track, young people are introduced to music history, advanced music theory, rhythmic dictation, melodic dictation and sight singing. The third group follows the same programs as above, but with a pace more appropriate to adults. 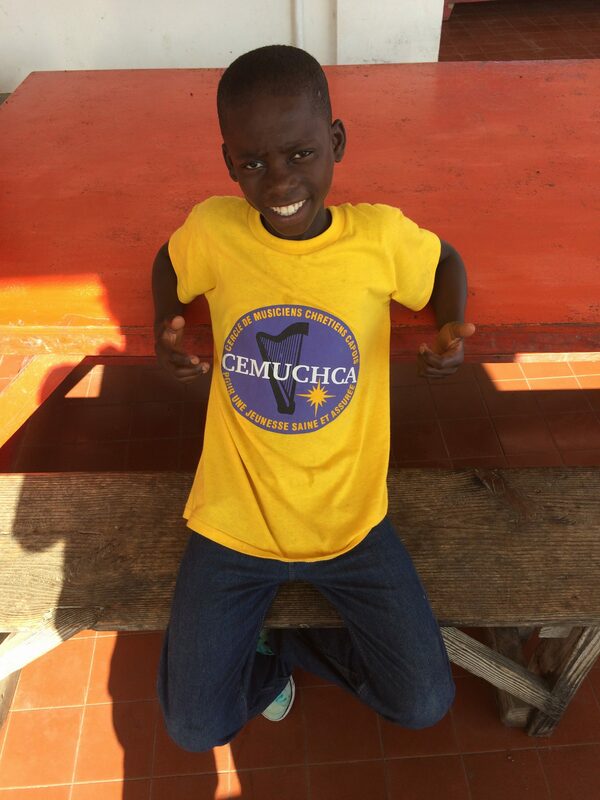 The annual CEMUCHCA Music Camp, presented in partnership with Blume Haiti and President Janet Anthony, attracts over 150 students, along with fifteen Haitian teachers and foreign volunteers. It’s numbers continue to grow and the camp not only serves as a training ground for young musicians, but for many of the North District’s music teachers as well. The Music Guerrilla is the newest partner to this outstanding musical opportunity. “Founded in 1998, the Dessaix-Baptiste Music School was created to offer the children of Jacmel a positive alternative to violence, prostitution, drugs and delinquency, to create the next generation of Haitian musicians, by giving them as good a formation in music as possible and to allow its students the possibility to earn their livelihoods through performance, teaching and composition. 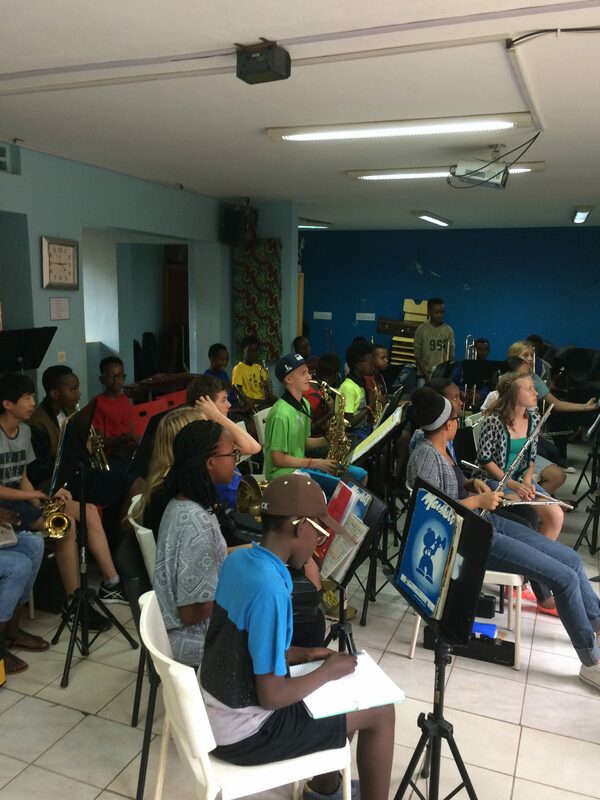 After twelve years of existence, the Dessaix Baptiste Music School currently has 1160 students enrolled in a diverse group of classes, lessons and ensembles. From beginning solfege for the newest students to 3 bands, 3 orchestras, 2 jazz bands; lessons on all instruments; and theory and conducting classes as there are teachers available, there is a great deal of activity. 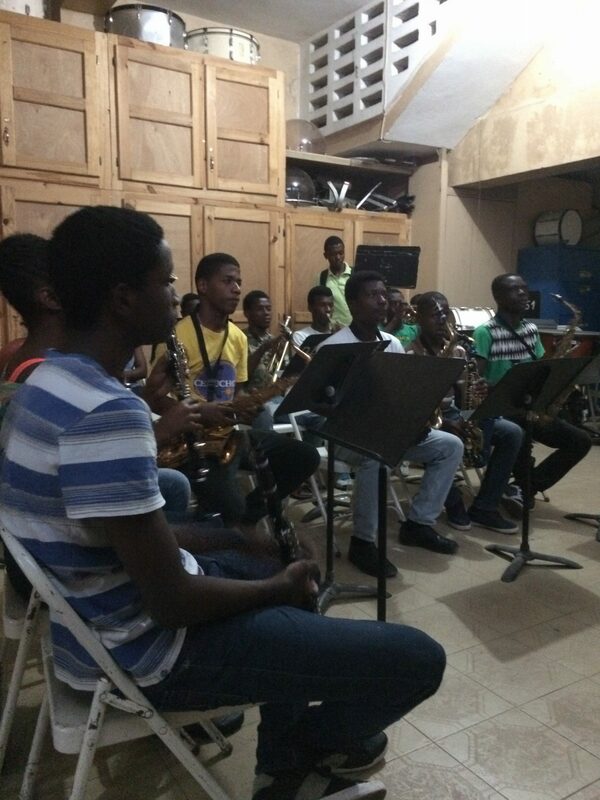 The music school has also provided for many street children in the city of Jacmel who come from very difficult circumstance in search of a better life. The children, often deserted by their parents who are incapable of feeding and educating them, frequently become beggars in the street or have very small business near the bus stations. Currently, a large number of the students at the school under the age of 16 are what one could consider at-risk youth, coming from orphanages and youth group homes. They are fully integrated into the structure of the school without regard to social or economic status. The school has an obligatory solfege class for all beginning students (at the moment, there are five levels meeting every Saturday for this instruction). In addition to scholarships for music study, over 140 children from the surrounding area from very disadvantaged backgrounds are also being fed and clothed by the school with the goal of giving these children the chance to earn their livelihoods and to become integrated into the general society. 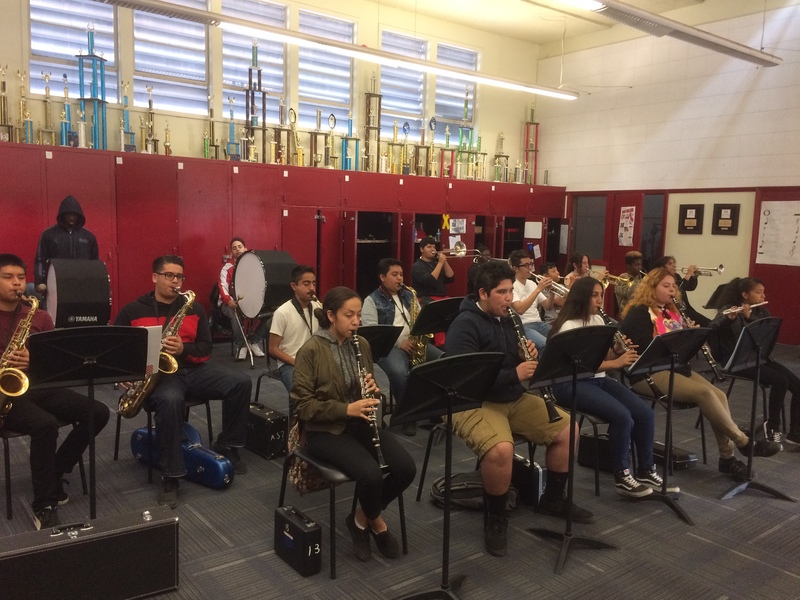 Students receive a lesson each week and, depending on the instrument, also play in ensembles. There are three levels of orchestra, three levels of band, two levels of jazz band – the advanced groups are open to all by audition. There are regular recitals of students and staff and regular concerts with the various ensembles. 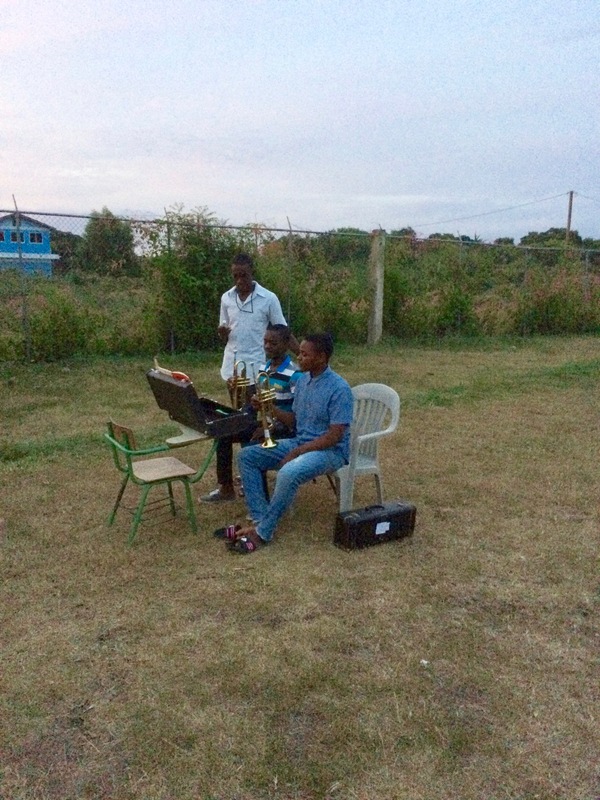 Because the administration of the Dessaix-Baptiste Music School realizes the importance of music education in the creation of a civil society, the school is actively supporting the creation of other music programs in the country. 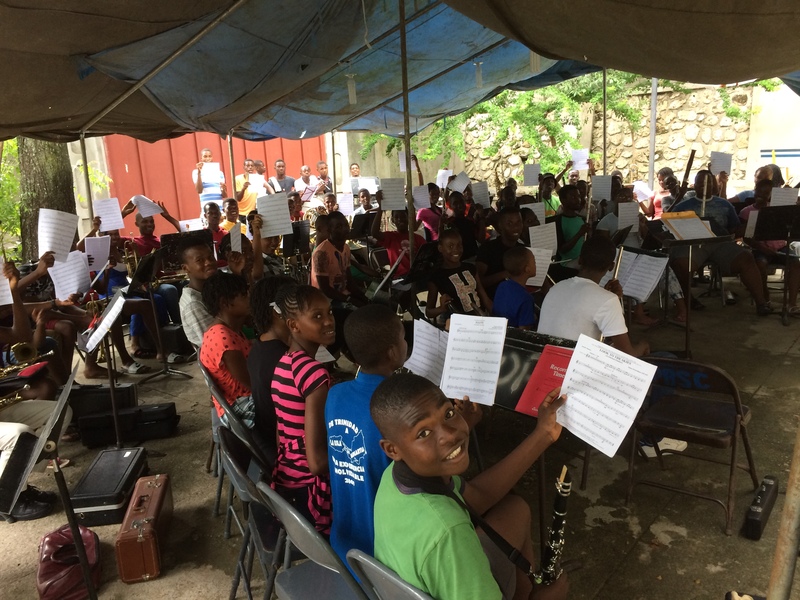 In the area outside of Jacmel there are close to 700 students getting lessons and playing in ensembles in Marigot, Cayes Jacmel and, most recently, Coq Chant – all programs started by the DBMS and served by teachers of the school. Dessaix-Baptiste has also helped in the formation of schools elsewhere in the country including Cité Soleil and Godet in Kenscoff in or near Port-au-Prince, and Aux Cayes, Miragoane and Port Salut in the south through gifts of instruments (given by Food for the Poor to DBMS for this express purpose) and materials. The school is just beginning to take advantage of existing technology with regular SKYPE lessons being set up with several teachers in the United States (if there are no technical difficulties). Though difficult (because of internet connection speeds), several teachers are also using the internet to expose their students to a large range of music. The Dessaix-Baptiste Music School offers one of the few places in the country where students from all social classes and economic backgrounds can meet as equals. In Haiti’s very stratified society, this is of invaluable worth. Here a street child realizes that he or she has the potential to become a valuable, contributing member of civil society. The vast majority of students at the school are unable to afford the very modest monthly fee of 200 Gourdes (about $5.00 US). The school is always seeking innovative ways to enable these students to continue their studies. It’s Mission is to give yong people other alternatives to violence, to help the country of Haiti advance. “The Holy Trinity Music School (HTMS) was established in Port-au-Prince in 1956 by Sister Anne-Marie of the Convent of St. Marguerite and is part of the Episcopal Church of Haiti. As a nonprofit institution, HTMS provides training in music for Haitians of all ages and from all socianil strata. Father David Cesar became director of the music school in the mid 1990’s and it now has a teaching staff of 50 (all trained by the institution) and offers programs that provide musical training at the highest level to over 1500 students in all instrumental and vocal areas. The Orchestra Program for at-risk Youth began with the help of the Organization of American States in 2009. An “El Sistema” type program specifically aimed at youths living in the most disadvantaged areas of the capital, the original idea was to have the program last for three years. However, the program proved to be such a success, both academically and socially, that the school found the resources to be able to continue to offer high quality music education to those most in need. The goals of this program are to reduce the level of violence among young people and to encourage children to stay in school. With the re-orientation and social support that music programs provide, at-risk children and young adults will be able to redirect their talents to become productive members of their society. Compton, California is often synonymous with the birthplace of West Coast gangsta rap, rampant gang violence and random drive-by shootings. The image of this mid-sized, south Los Angeles community continues in pop culture despite being several decades removed from events perpetrated in the media from the 1980’s & 1990’s. Still, while crime is comparatively way down compared to those times, and the economy is improving, Compton continues to struggle with its identity as many of it’s younger citizens struggle to find hope, possibility and a sense of place. Centennial High School boasts its share of famous past students – especially musicians – including the members of N.W.A (Eazy-E, MC Ren, DJ Yella, Dr. Dre and Ice Cube), The Game and Kendrick Lamar. However, the 950-member student body at CHS has challenges, as evidenced from the last census in 2010, including 33% of students classified as LEP (Limited English Proficiency), 10% involved in Special Education Programs, 100% qualifying for free/reduced lunch, and having been classified as a “persistently low-achieving school” with a graduation rate of less than 60%. The gang presence is still strong in Compton and at Centennial High School, where the student population reflects the changing demographics of the city itself: 71% Latino, 27% African-American and 2% other/multiple/no-response. Despite these challenges, recent administrative vision has given Centennial new life and direction. Recently, CHS received full accreditation through 2021 from the Accrediting Commission for Schools – Western Association of Schools and Colleges (ACS WASC) Spring of 2017.